Mauritius is an idyllic romantic holiday destination for couples and honeymooners looking to spend some quality time together on paradise island. 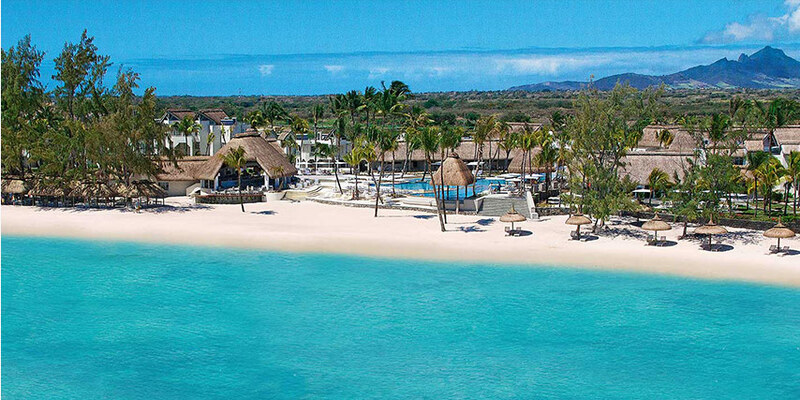 If your idea of a heavenly vacation includes plenty of strolls on idyllic tropical beaches and peaceful dinners by candlelight, free of wailing children, then you should opt for Adults Only hotels on the paradisiacal island of Mauritius. This new concept is ideal for romantic getaways and for those traveling without children. The hotels as part of this article were handpicked Adults Only Hotels which not only offer child-free environment but equally pamper guests with extraordinary care, extensive activities and entertainment programs, wonderful spa facilities. Since these hotels aren’t spending resources and staffing on planning kids activities or running children and teen clubs, they can create the ideal environments that cater strictly to the needs of adults. As such, guests can be guaranteed to enjoy your vacations to the maximum in peaceful and exclusive surroundings, relaxing with partners or have fun with their friends. This hotel and spa is the perfect hideaway for lovers. Here time stands still and romance hangs in the air like a heady perfume. This idyllic love nest brings couples closer together, has the power to fan the flames of “l’Amour” like no other setting. 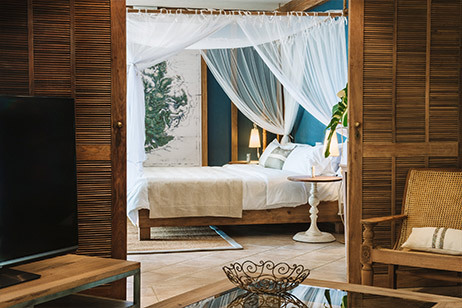 Located on the north-eastern tip of Mauritius, at the heart of the fishing village of Grand Gaube, Veranda Paul & Virginie Hotel & Spa nestles on a quiet beach characterised by serenity and tranquillity. The decor is refined and tasteful, using the best local materials. The name of the hotel comes from the mythical love story immortalised by the eighteenth-century French writer Bernardin de Saint-Pierre. Perfect for a wedding or honeymoon, Veranda Paul & Virginie Hotel & Spa welcomes you in the most romantic of settings. Happily ensconced in love nest sofas or swinging gently in a double hammock, you can relish the deep calm of this environment and the joy of being together. 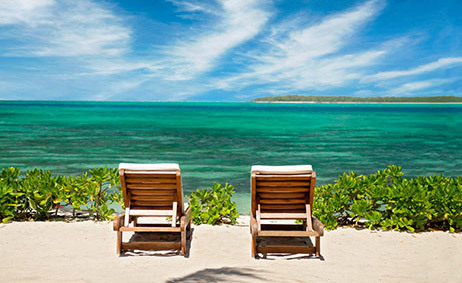 Services: Laundry and dry cleaning services, Beach towels, Conference room (60 pax), Shop selling souvenirs, beach accessories and other items, Free Wi-Fi in public areas, Shuttle to Grand Baie (Twice a week), Excursion desk, Florist, Medical assistance/service, Photographer/videographer, Library, Car rental services. The Tropical Attitude is an amazing hotel for you and your partner to spend a wonderful relaxing day in an idyllic setting. With its gentle way of life as a 3 star sup hotel in Trou d’Eau Douce, the Tropical Attitude Hotel is the ideal location for you to de-stress in all serenity. The Adult Only exclusive concept of the hotel makes it the ideal place to be cut off from noise and cries, perfect to relax as a couple or with friends. The white and taupe bungalows fitted with their “lambrequins” look typically Creole and tropical, thus guaranteeing the feeling of exotic new surroundings perfect to relax. The 58 Couple Superior rooms with a sea view, painted in light luminous tones, have wide sliding glass doors opening up on a terrace or a balcony. In the garden, in front of the bedrooms, relaxed sandy areas fitted with comfortable sun beds allow you to admire the beautiful scenery. Enjoy the taste of the local and international dishes featured by the hotel’s renowned restaurant - Le Cocotier restaurant and the Taba-J which overlook Trou d’Eau Douce’s magnificent lagoon. Fashioned in a refined modern style, the new lounge-bar increases the pool area - the unavoidable meeting point to sip a cocktail under the coconut trees, bare feet in the sand. If you need extra moments to unwind, you can have a swim or just lie around the renovated swimming pool or choose to be pampered at the Spa Attitude. Situated in Pointe aux Piments, Récif Attitude hotel is the place to go back to essentials, to recharge in energy, to spend time with friends or as a couple… or enjoying a magic tropical honeymoon in Mauritius. 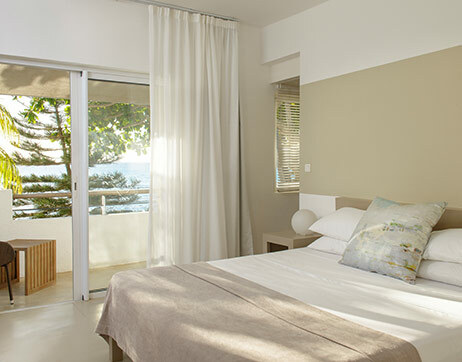 Dressed in white and wood, Récif Attitude offers a mix of comfort, vibrant Mauritian soul and boutique hotel spirit. The 70 rooms consist of cubical architecture, modern furniture and refined design. Enjoy your stay at the Recif Attitude with the comfortable accommodation offered in three categories: Couple Standard room, Couple Standard Beach room, and Deluxe beachfront room. With its furnished terrace, each of the hotel rooms is air-conditioned and decorated in light colours for having a casual luxury feel. For the menus, the hotel’s main restaurant is the La Pointe aux Piments Restaurant serving a buffet breakfast and a range of international dishes. Situated by the beach, L’Océan Restaurant is the place to be for enjoying seafood specialises while the La Sirène Bar provides snacks and drinks on its ocean-facing deck. Indulge into the spa treatments with natural ingredients such as soil, sea and plants including essential oils. You can also enjoy the hammam! 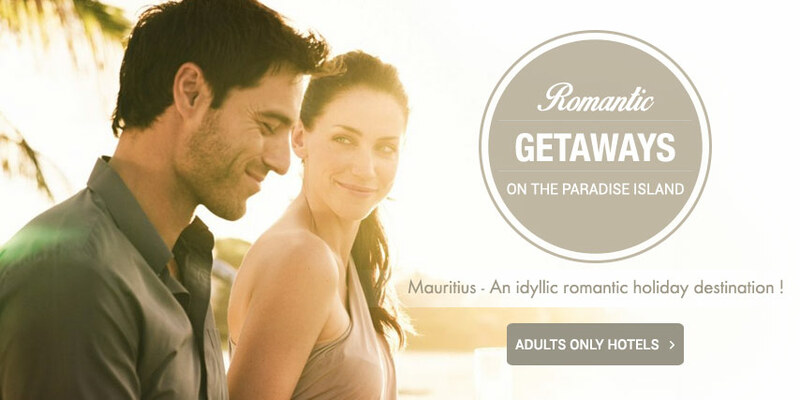 Planning beach holidays in Mauritius? Stay at Ambre Resort & Spa! Perfect for couples and groups, this resort is an Adults Only All-inclusive resort offering 3 restaurants, 2 bars, a wide range of water and land sports, and free Wi-Fi. 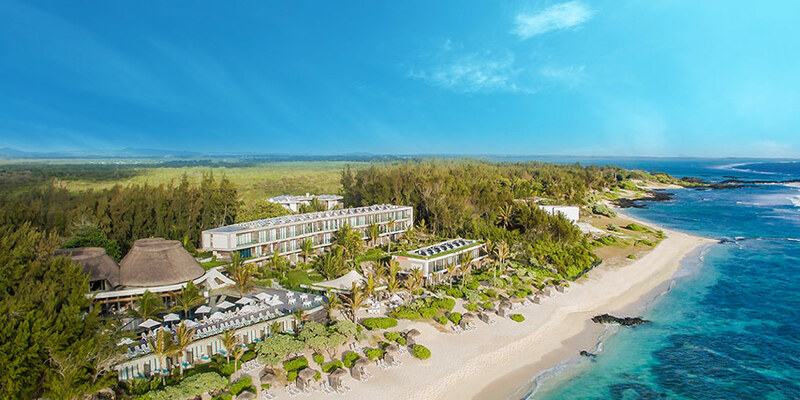 Located in Palmar on the east coast of Mauritius, Ambre Resort & Spa is one of the most appreciated All-inclusive resorts in Mauritius boasting a 700m coral sandy beach running along a sheltered bay. Expansive and open to interaction, cool and cheerful, Ambre is the perfect young-at-heart getaway for carefree holidays. This is the place to refresh, mix and mingle; burst out laughing in good company, enjoy discoveries together; connect and reconnect. 297 rooms nestled between the coral-reef lagoon and lush tropical gardens, including two Suites and seventeen Deluxe Rooms of 72m2. 3 Restaurants & 2 Bars. The Tropical Spa - 4 treatment rooms, an outdoor area with 2 gazebos. Steam room, a sauna and a Jacuzzi. Fitness centre, with a range of cardio apparatus and training machines. 2 swimming pools including an impressive pool of 735m2 and a tropical lap pool overlooking the beach. Golf (at extra costs): Access to the 18-holes golf course of Ile aux Cerfs. 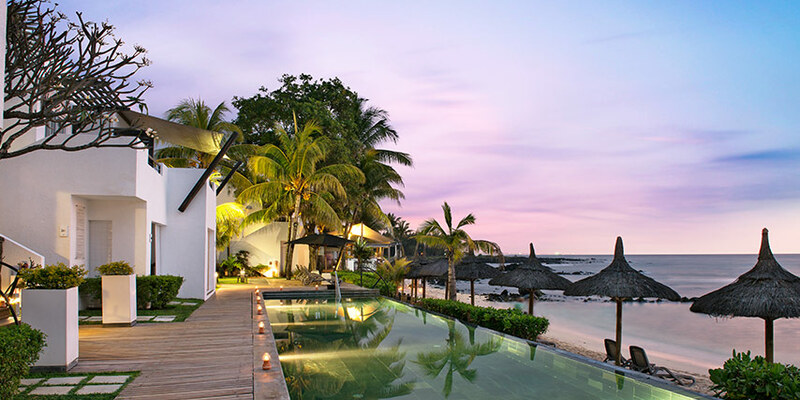 Situated on the north coast of Mauritius, at Anse la Raie, Paradise Cove Boutique Hotel is the ideal address for an escape and happy moments together. It is an Adult Only exclusive hotel for friends, couples and honeymooners thus guaranteeing a peaceful and tranquil holiday. The hotel combines harmoniously the Mauritian traditional architecture and contemporary exotic decoration. Wood everywhere… a true witness of the influence of the original East India Company’s style; frontage, floors, ceilings, terraces blend harmoniously shades and essences. The open spaces bathed in sunlight suggest a serene and refined décor. The hotel allows each one to enjoy peacefully the beauty and character of the spot. Those fond of intimate havens will choose the cove and its numerous love nests to share moments together. At the far end, the Peninsula with its new Infinity Pool overlooking the turquoise lagoon offers a spectacular view on the northern islands; its Indigo restaurant and Pop-in bar is a real invitation to those looking for a vibrant and trendy atmosphere by the sea. Riu Le Morne Club, Hotel and Resort is an Adults Only hotel located on Le Morne Peninsula, in the southwest of Mauritius. Renovated during summer 2014, there is no better place to stay for those who want to relax on the soft white beaches and crystal-clear waters of this heavenly setting. The warmth of the array of facilities lets the guests feel that they are right at home, in modern, comfortable and spacious rooms to suit all types of needs. Attentive service ensures every stay runs smoothly, creating a cheerful, friendly and welcoming environment: the makings of a truly wonderful stay. The adults-only Riu Le Morne Club, Hotel and Resort offers guests an exclusive ambience, with four restaurants, five bars, a freshwater swimming pool and chill out area. Its top-quality cuisine offers a wide range of fresh products and hot and cold dishes cooked to order, not forgetting the special thematic buffet nights. Come and enjoy a holiday with family or friends and live your own unique experience! Beautifully set on a pristine beach protected by a turquoise lagoon, Radisson Blu Poste Lafayette Resort & Spa Mauritius is a contemporary interpretation of the island’s architectural heritage. 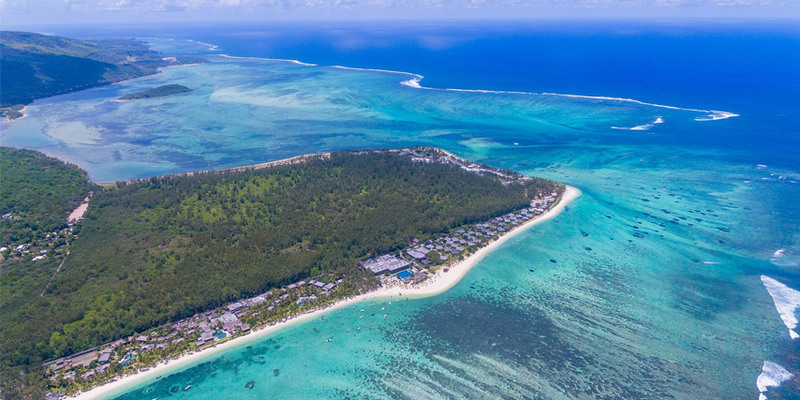 Only for adults, the resort combines the warmth of Mauritian hospitality and offers several dining venues, accommodation options and facilities designed to make holidays for adults and couples truly enjoyable. All-day dining is available at Café Nautilus. The thatched-roof open-air restaurant features colourful buffets and set menus. It showcases some of the world’s greatest cuisines, with the emphasis on local products. The finest in Mauritian cuisines and flavours as diverse as the Indian Ocean itself are the main features of Phi, the resort’s speciality restaurant located poolside. Set steps away from the beach, Aqua 180° is a convivial bar-restaurant that serves a selection of cocktails, snacks, freshly baked pizzas and salads. In-room dining is also available. The Spa offers therapeutic treatments, holistic experiences and relaxing journey for individuals and couples. Ideal for those seeking some intimate moments with their partners. Immerse yourself in a soothing environment and let you be pampered in the expert hands of the therapists.